Hi there! Welcome to the Monday Link Up, organized by Beth at Plum and June and guest-hosted this week by me. 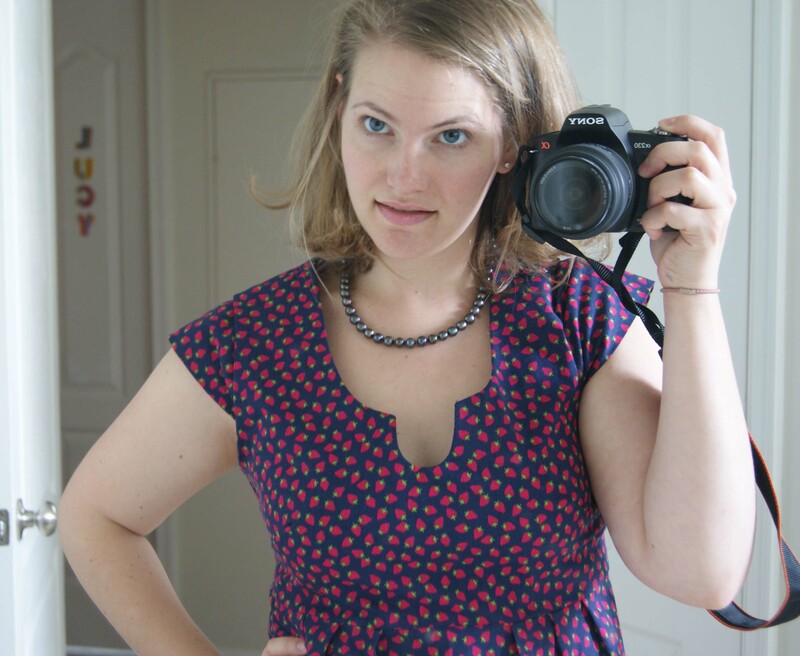 I’m Laura C, here at littleandlots. I’m so happy to have you-all here. 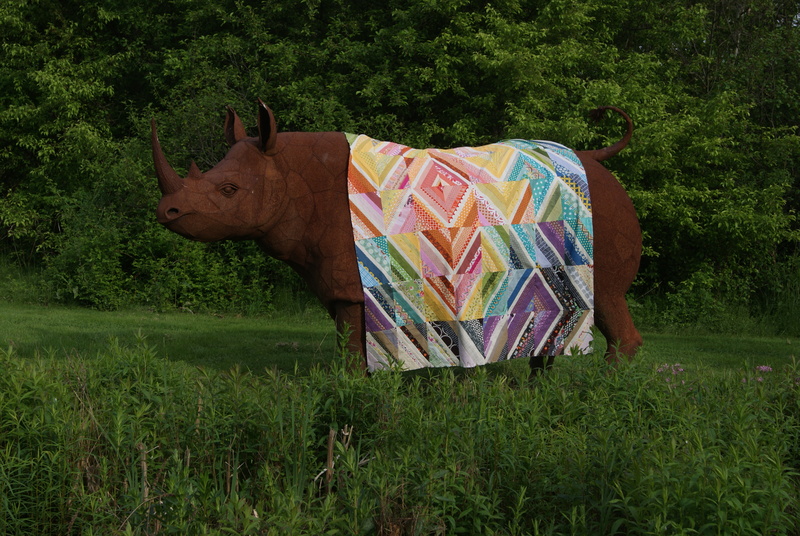 Besides being an incredibly talented and creative quilter, I think that what Beth brings to the blogging community is just that–a real sense of community. She works really hard to bring all of us new bloggers together, and does a great job getting the conversation started with the Monday Link Up. Before I get to the Link Up, I just want to run a short commercial for another one of her amazing meet-other-new-bloggers projects. 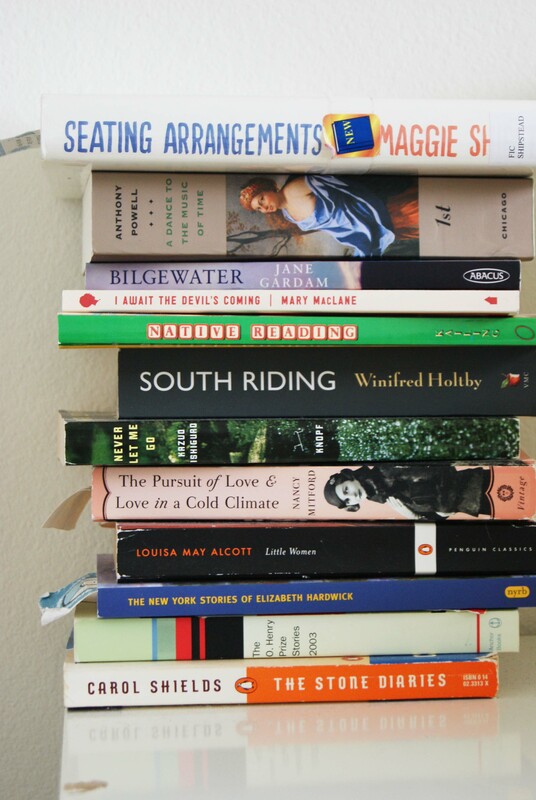 It’s the 2013 Let’s Get Acquainted New Blogger Blog Hop! I’m thrilled to be participating this summer. 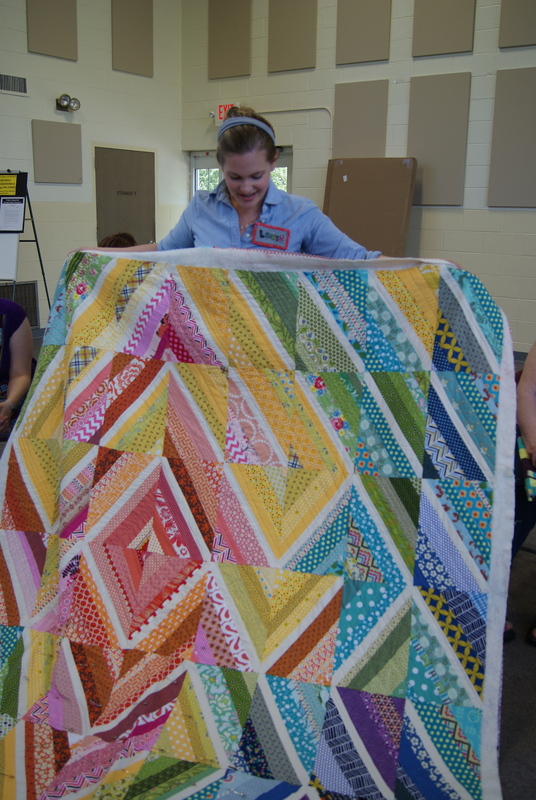 The list of this year’s participants includes some of my VERY favorite quilting blogs–blogs that I’d never believe were “new” if they hadn’t joined up! There is some serious talent in this year’s cohort of New Blog Hoppers. Join along with me and visit them all! This week I finished the quilt I am most proud of so far. It’s my best quilt yet, no joke. 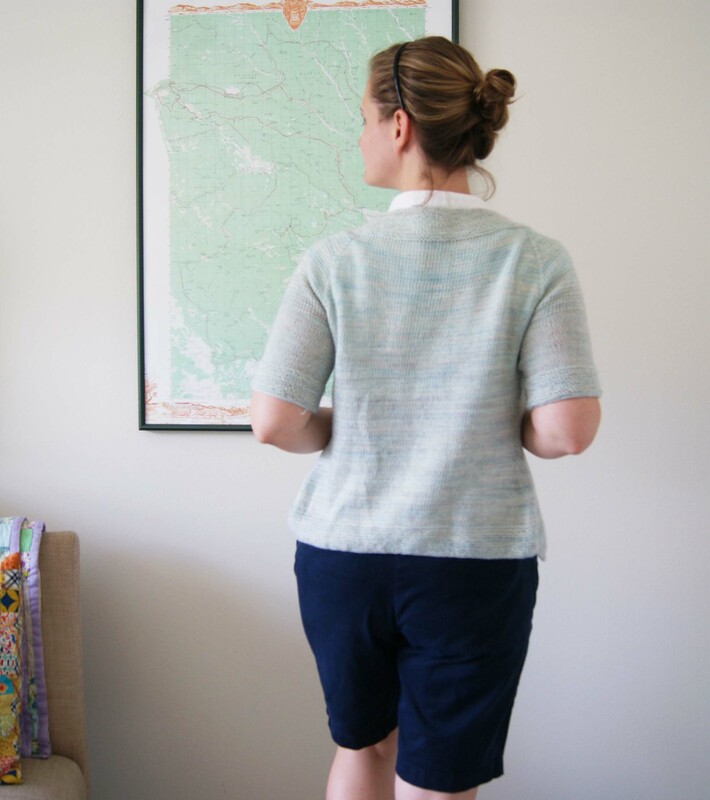 I’ve been quilting for three years, modern quilting for two (yes, you’ll see repro fabrics in my latest quilt–I try my level best to use ALL of my stash and not throw anything out), and blogging for one. Never did I think I was capable of making something I love this much! From the ill-lit indoor photo to the clutter of toddler books, to the unmodified 30’s design–this is not my proudest moment. I’m still fond of this quilt, an applique fan quilt using Violet Craft’s Peacock Lane. But oh, what I could have done differently! 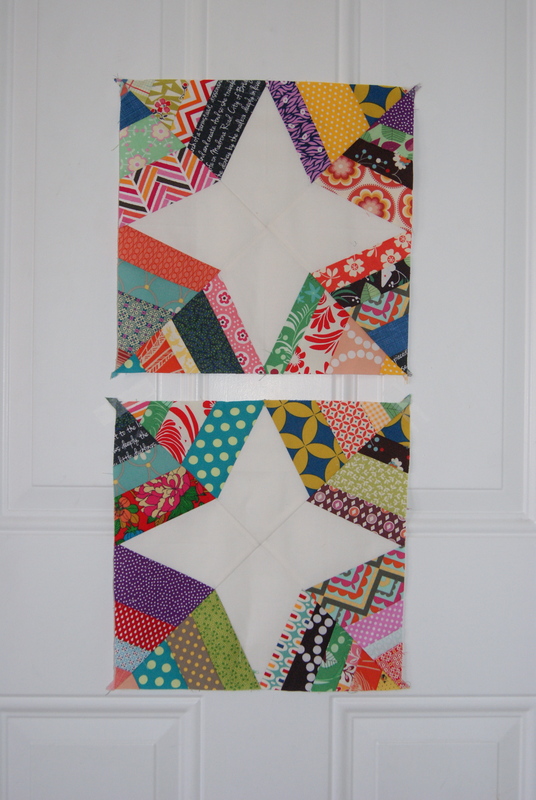 I used Rachel @ Stitched in Color’s Ziggy Strings tutorial to construct the blocks, but I laid them out in a broken rainbow pattern, red in the center to low-volume along the bottom edge. Determined to use every bit of fabric I’ve got, even the repros, I used only scrap strings (with some Kona Bone, technically scrap from a project last fall) to make this quilt. 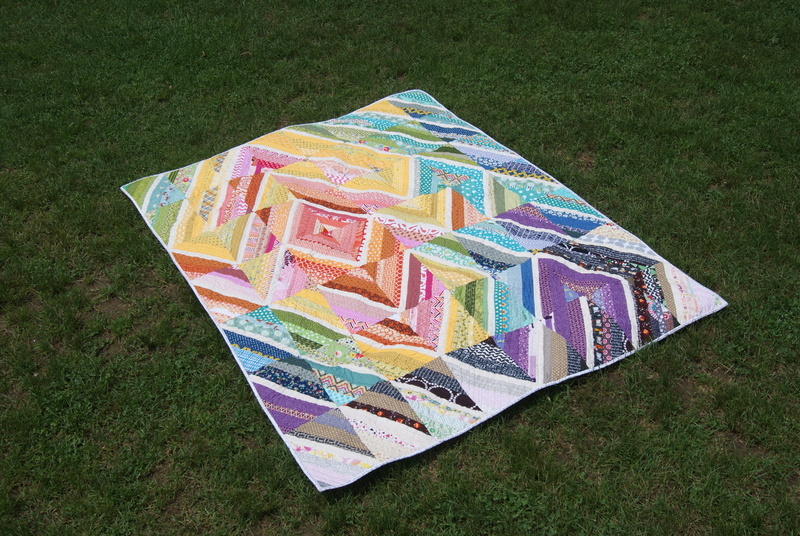 I can’t believe the same person made both of these quilts! Now…’fess up! Link up, BUT…it’s time to share some things you’re trying to keep secret! 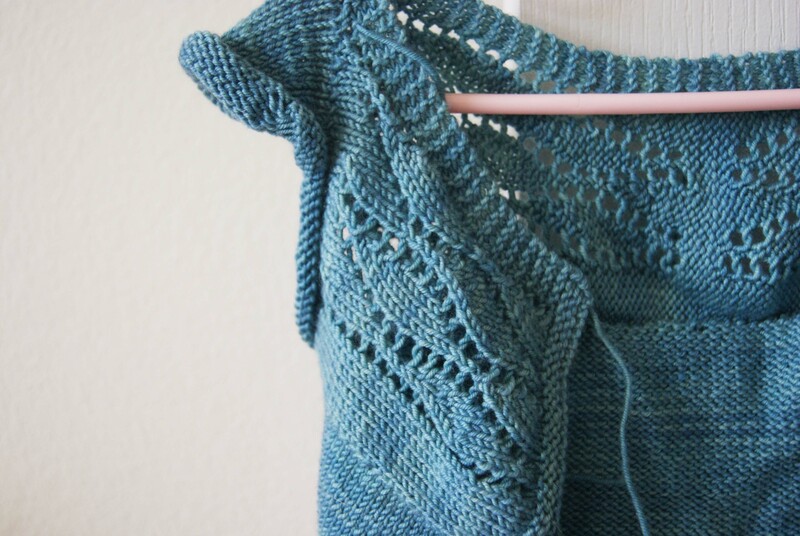 See you next week on the blog hop! I’m hoping to share some more pictures of good stuff soon. A finished quilt (that you’re probably tired of looking at–I’m about there, myself! 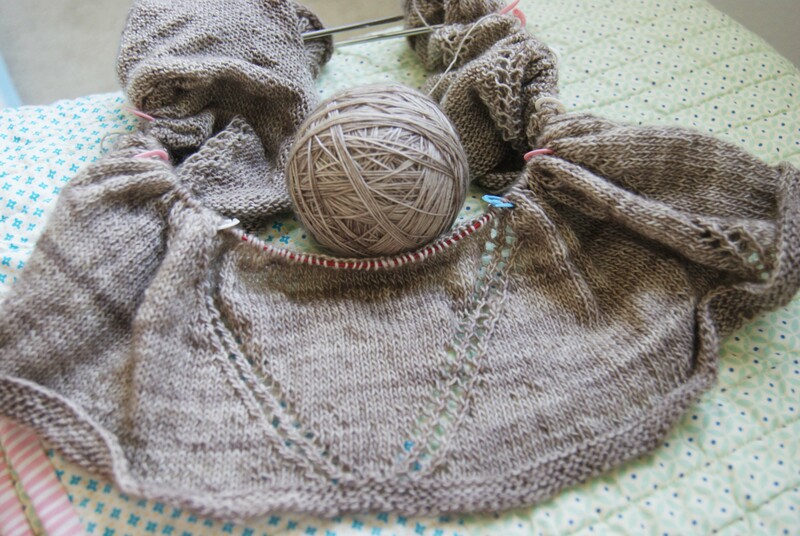 ); a passel of knits that have been backing up since I went on vacation in April; a few new projects I want to start. and a pile of THANKS for you-all. I won the Festival of Strings contest, hosted by Rachel @ Stitched in Color. 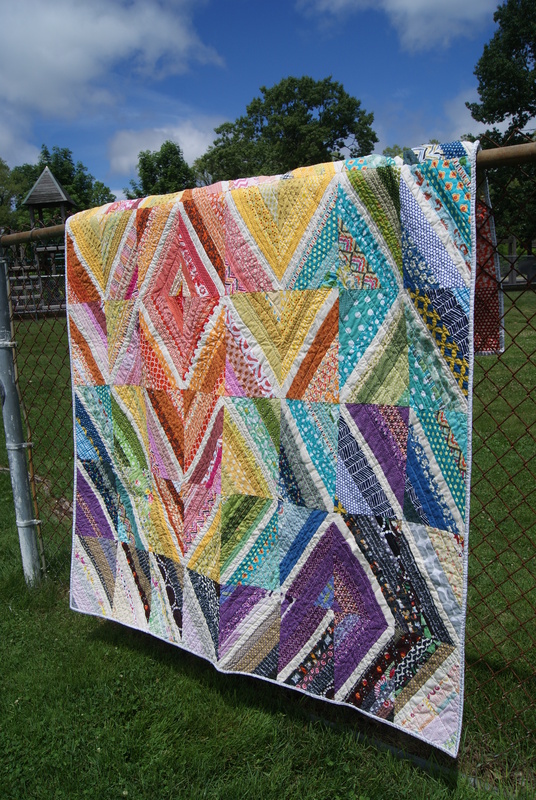 And there were some miiighty good quilts in that hundred-or-so entries. 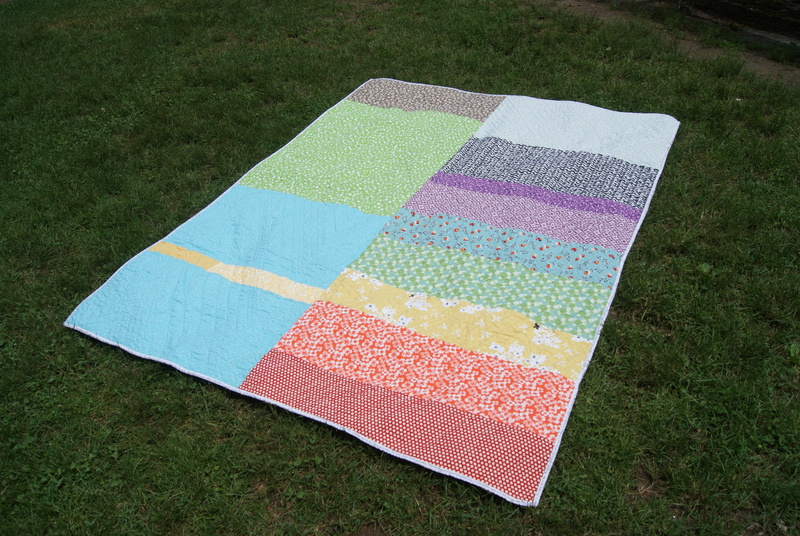 (Some miiighty good quilts that I’m dying to copycat, with ample credit where it is due of course, too.) 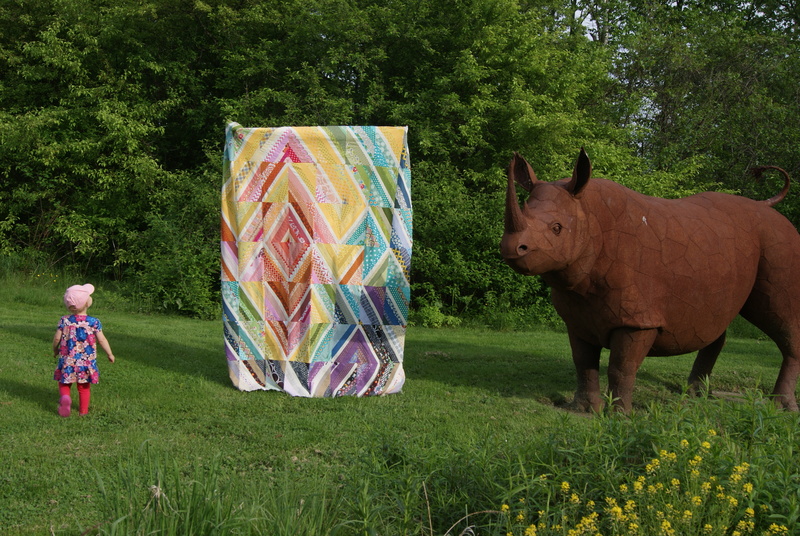 Many thanks to everyone who voted for my rainbow quilt, and to Rachel, and the MOST thanks to the Warm Company, for the roll of batting they’re sending my way! 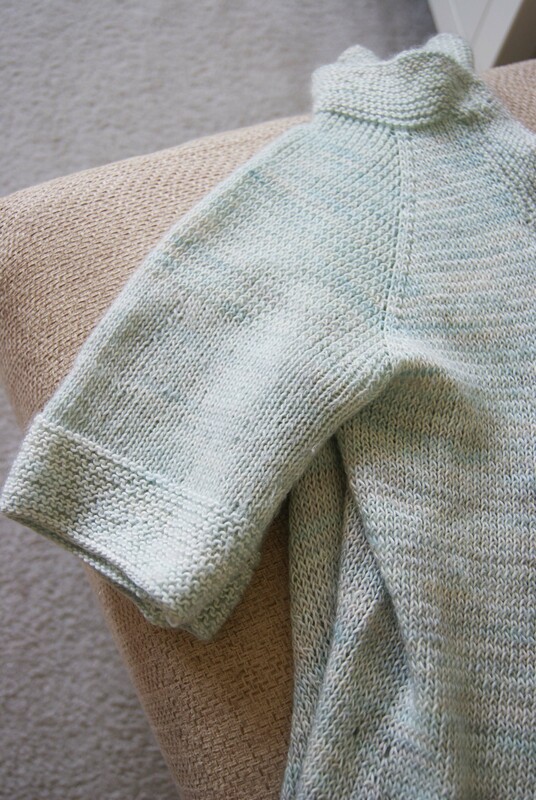 I also got an email from Joanne at Rose and Dahlia that I won a copy of the Roly Poly Pinafore pattern, by Rachael at imagine gnats. Lucy needs a few of these, for sure! 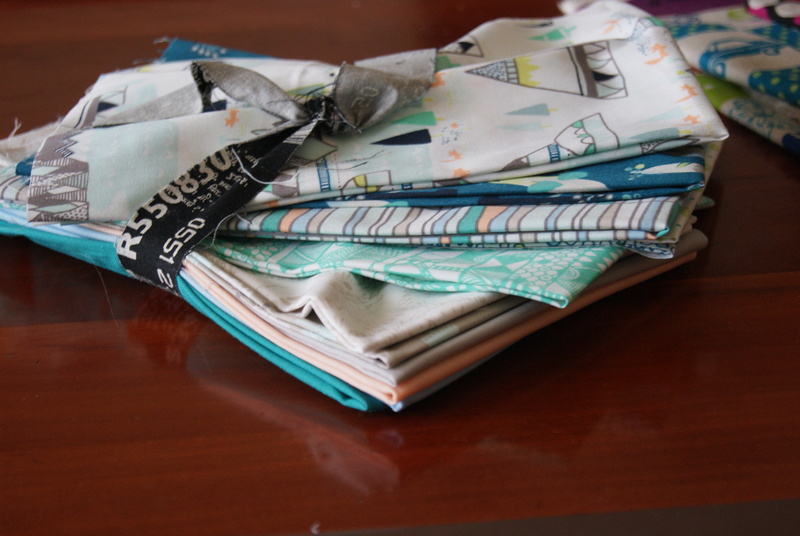 I’m busily sifting through imagined fabric combos for this pattern. I love, love that the contrast fabric that you choose actually shows! Stick around. More than scraps coming soon. 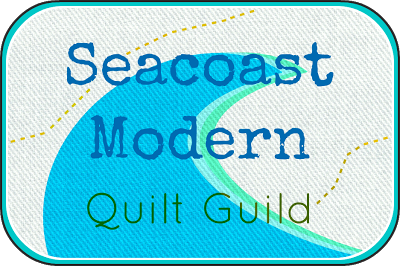 Back in October, I joined the Seacoast Modern Quilt Guild. 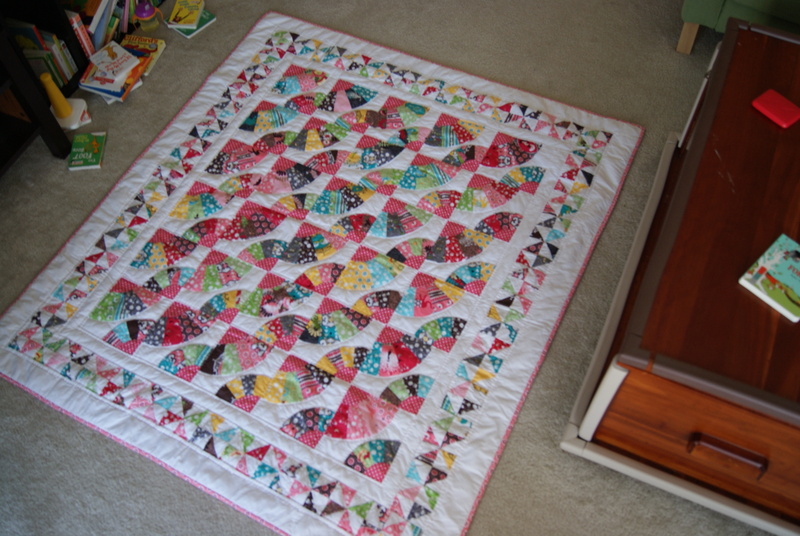 I wasn’t quite sold on the idea of a guild–doesn’t the quilt blog community provide enough–well, community? I’m so, so glad I joined! 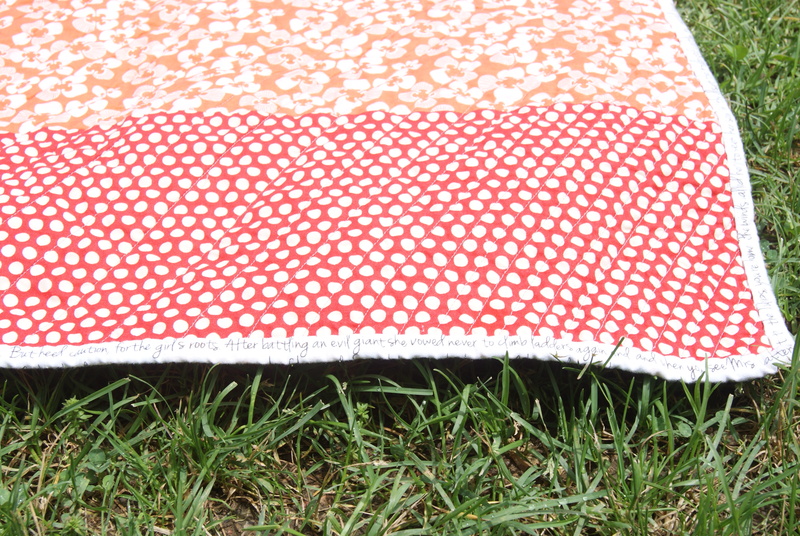 Turns out, it’s much more exciting and inspiring to pet real quilts and coo over fabrics with real live people. True story! Because after some meetings, you leave feeling like THE WEENER. I won the blocks! There are 16 so far. I’m thinking that means I need to make 14 or 15 more and make a big ol’ spiderweb quilt. 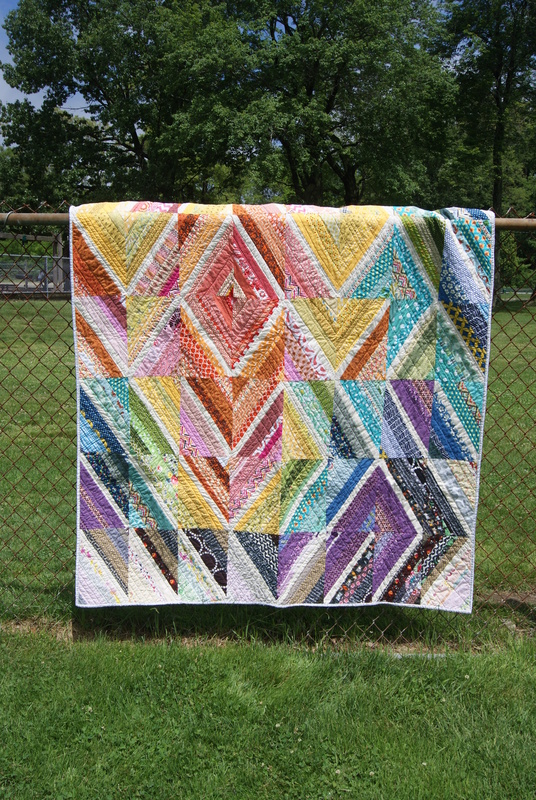 That’s Indian Summer by Sarah Watson for Art Gallery Fabrics, with some coordinating Kona solids chosen and donated by Peg from Sew Fresh Fabrics. 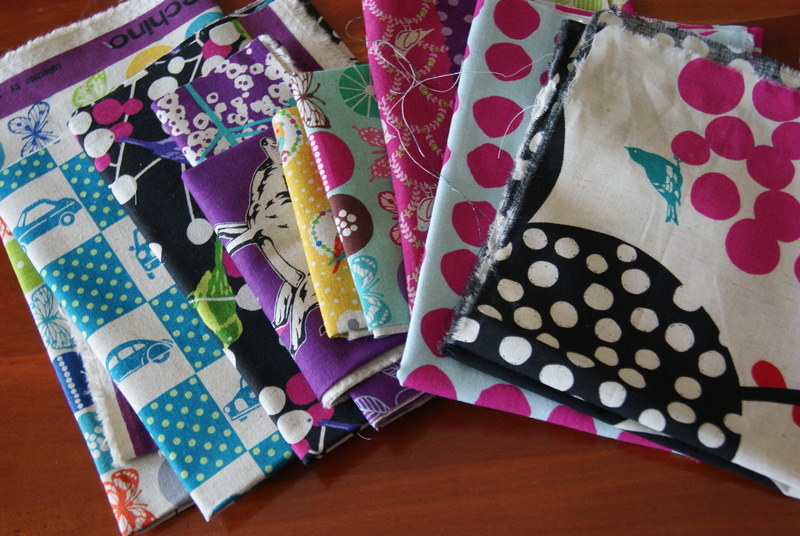 Sarah Watson donated the fabric bundles to our guild for us to use in charity quilts. 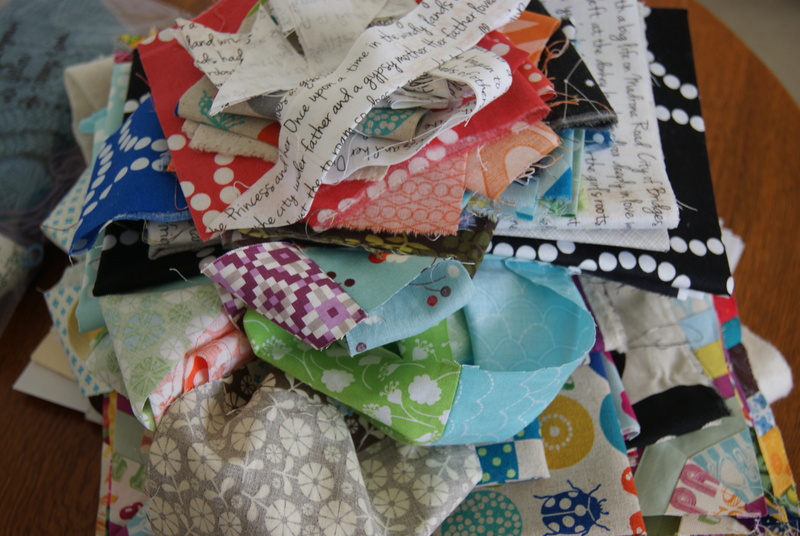 We split the pile and are going to make four baby quilts, round-robin style. I get to start by making the center medallion! I’m so excited to work with these materials, they are gorgeous. Are you in a guild? Do you love it? 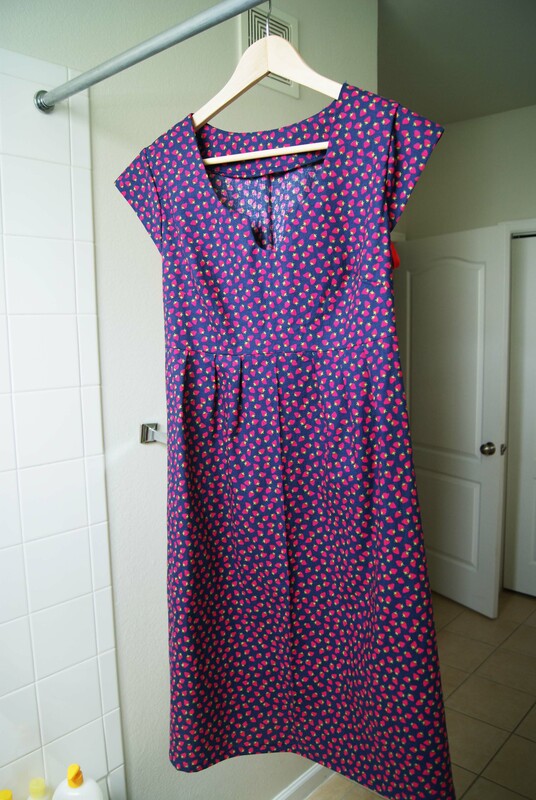 What kinds of fun swaps/bees/round robins/other fabric fun does your guild do? 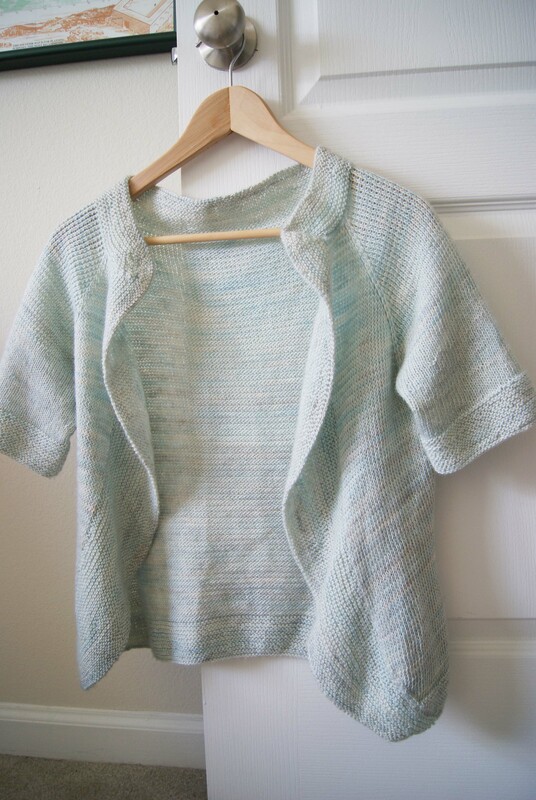 I’m a finalist in Rachel @ Stitched in Color’s Festival of Strings! I know. I’m tickled. I’m very proud of this quilt top (by now, as you can see, it’s definitely progressed to unfinished quilt–this is a snap someone got of me showing it off at Guild this morning), and I’m thrilled to be in the top five. I wouldn’t mind a bit if you head on over and VOTE for me! (I’m the Roy G. Zig quilt). 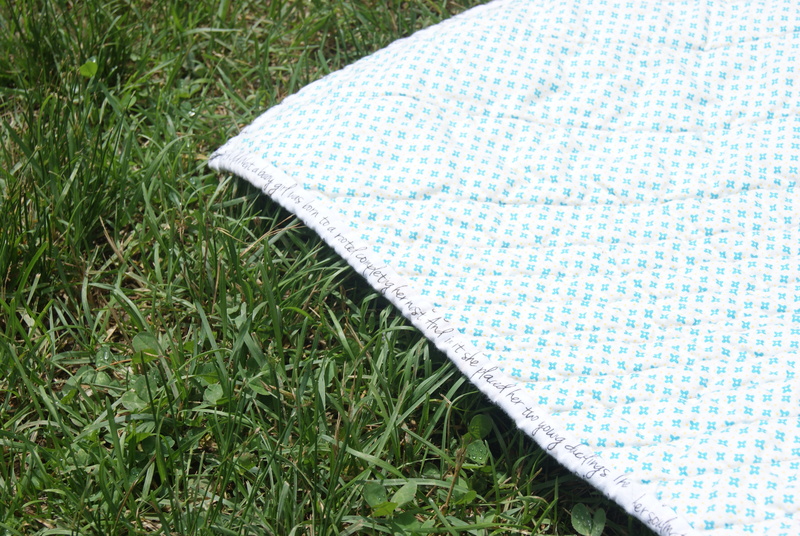 I’m neck and neck with another quilt for the top prize, a roll of batting…! 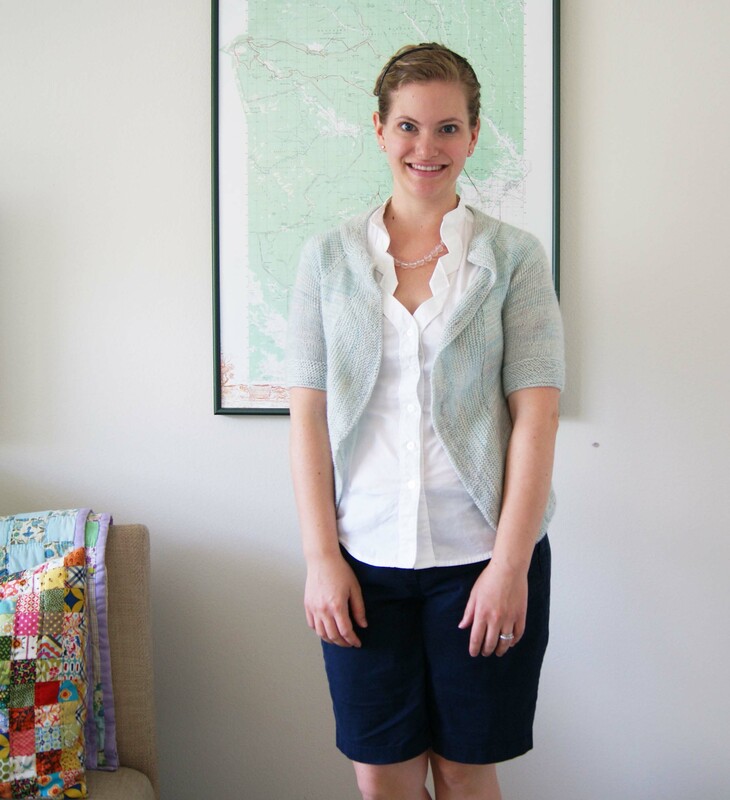 Secondly, the inimitable Beth over at Plum and June is hosting another New Blogger Blog Hop! I’m thrilled to be taking part this year. I just love to hit the “subscribe” button on a new-to-me blog, and I’m positive I’ll find dozens to add to my growing list. Maybe you will, too? 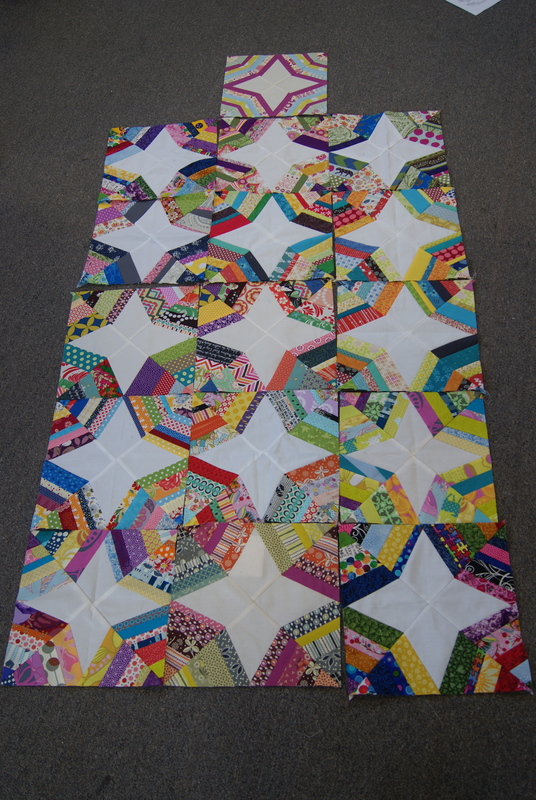 Finally, a huge THANK YOU to all of you for your kind words on my Sunday Morning quilt and my Roy G. Zig quilt. Last year at this time I felt I was quilting into a void–it’s so wonderful to have found a community to fuss over and be fussed over. A post with (slightly) more content coming right up!